Learning about the culture, the history and the natural environment of a place is always a lifetime experience. In Olympus Education, the participants of our programmes are learning and experiencing the world known culture and natural beauty of Greece. Our selected visits include world known sights with cultural interest (archeology, history, religion, architecture, art etc.) and natural interest (fauna, flora, geology, unique coastline and more). One of the most famous mountains in the world and the highest mountain in Greece. In Greek mythology Olympus was the home of the Twelve Olympian gods of the ancient Greek world – namely: Zeus, Hera, Demeter, Poseidon, Athena, Apollo, Artemis, Aphrodite, Ares, Hermes, Hephaestus and Hestia. The mountain's highest peak is Mytikas or Pantheon (2,918 meters - 9,573 feet) and it is believed it was the meeting place of Olympus Gods. 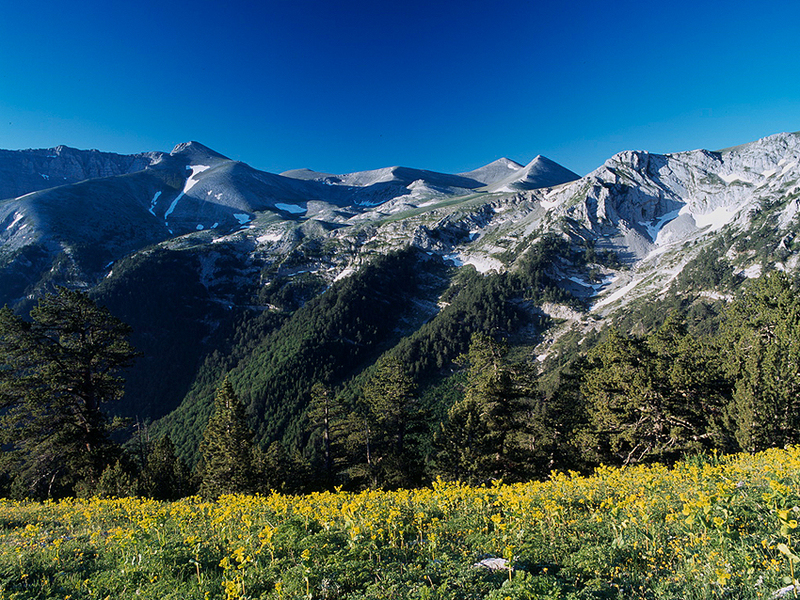 Olympus is considered one of the richest flora regions in Greece with more than 1,700 plants, representing 25 percent of all Greek flora. It is the first National Park in Greece, declared in 1938. In 1981 UNESCO proclaimed Olympus ΄΄Biosphere Reserve΄΄. European Union has listed Olympus in the ΄΄Significant for Birdlife Regions of European Union΄΄. It is also registered in the list of Natura 2000 European Network as a special protection area and a site of Community interest. The whole region of Olympus was declared archaeological and historical site for the preservation of its monumental and historical character. There are also several Christian monuments and many traditional settlements and villages. Lonely Planet "… an extraordinary place. The massive pinnacles of smooth rock are ancient and yet could be the setting for a futuristic science-fiction tale." A unique landscape of huge dark rocks on the tops of which are built monasteries from the 14th century. 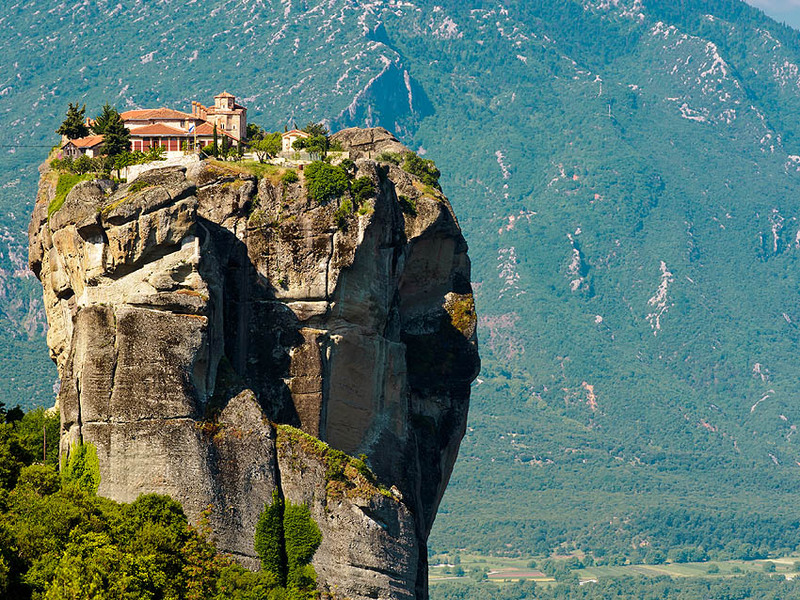 The name Meteora means literally "middle of the sky" or "in the heavens above". From 1988, Meteora are listed in UNESCO World Heritage Monuments. From the twenty four monasteries existed historically, today there are six visiting monasteries. The monks climbed to the monasteries with ropes, nets or with bare hands introducing a centuries-old tradition (medium rocks altitude 313 meters). These huge rock hills were formed about 60 million years ago during the Paleogene Period. The creation of this unique geological landscape has not been yet clearly explained. 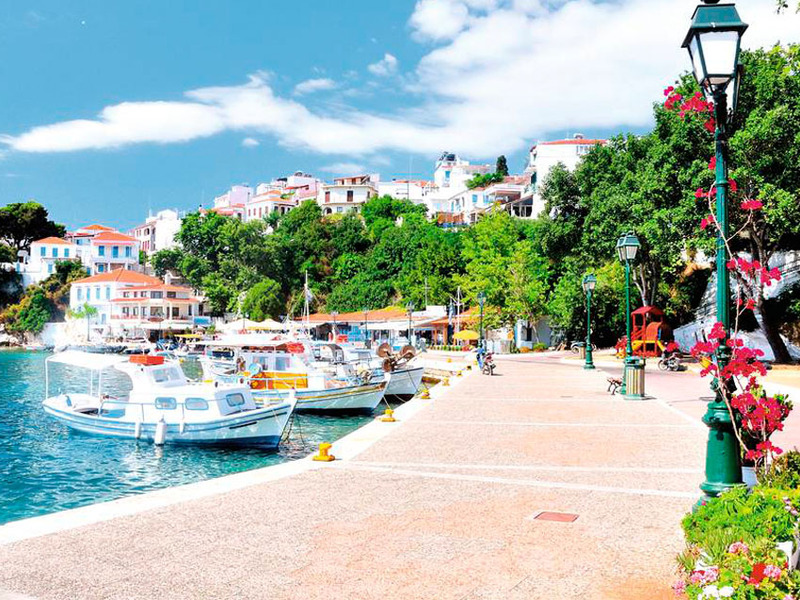 One of the most popular, cosmopolitan and greenest islands in Greece. It is famous for some of the best beaches in the Aegean sea and the shooting of “Mama Mia” movie. The island has more than 60 beaches. Among them, Koukounaries and Lalaria beaches are the most famous in Greece and the Mediterranean. Next to Koukounaries lies the small lake of Strofilia - home to rare species of birds. The picturesque town (Chora) of the island is representative of the Greek island architecture with red roofs, narrow streets and countless options for entertainment and dining. At the entrance of the port stands impressively the Bourtzi, a Venetian castle of the 13th century. The island has more than 50 churches and monasteries, where art has a strong presence through old and magnificent frescoes. Palaios Panteleimonas, in the shadow of the mountain of the gods, is a traditional settlement that has managed to preserve its picturesque beauty in an area full of natural beauties. 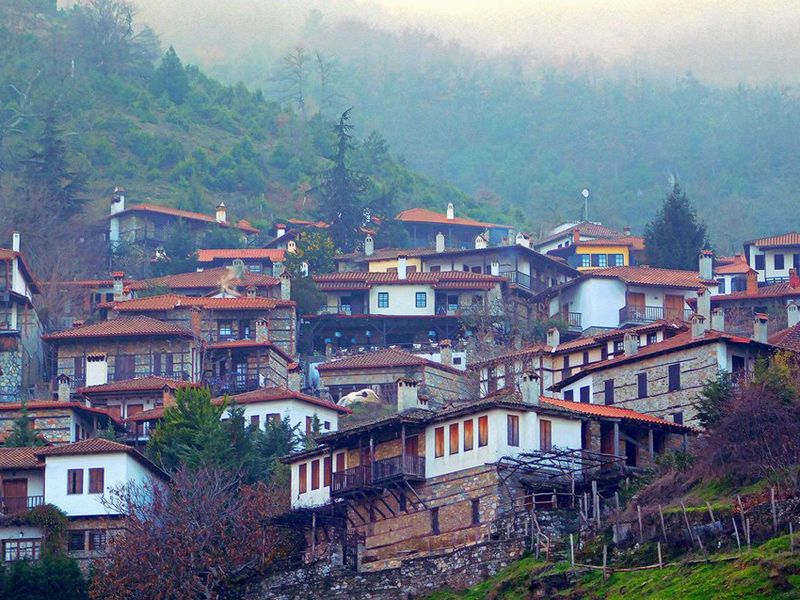 Traditional settlement built on the slopes of the lower Olympus at an altitude of 500m. Just a stone's throw from Thessaloniki, Palio Panteleimonas has an impressive tourist development (hostels, hotels, taverns, restaurants) in recent years. Nature lovers can engage in activities such as mountain biking, hiking, climbing. In the central paved square of the village with the ancient plane trees, you will see the old church of Agios Panteleimonas, the old school that has been restored and traditional taverns, while outside the settlement is the unique environmental school in the area. Walking through its narrow paved streets, you can admire the restored stone houses and graphic shops with traditional products and folk art. 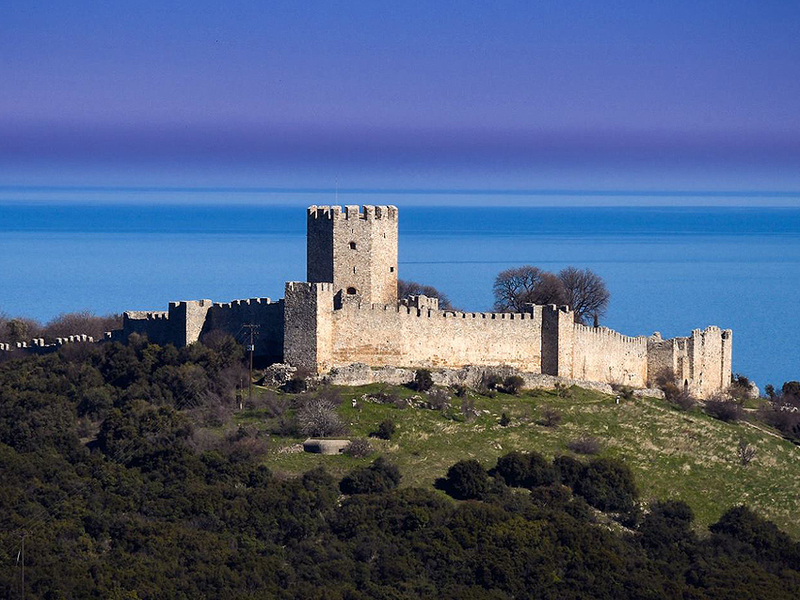 It is built in the fortified city of the southeast of Olympus, a short distance from the town of Platamonas. Its Tower, which dominates the national road, is the most impressive tower that exists in a Greek castle. In this castle we find the three main features of medieval fortresses: the first enclosure, the second enclosure which is also the acropolis and the central tower. The outer wall of the castle is polygonal in shape. It is reinforced by three enclosures and maintained in good condition. The outer courtyard is spacious and its entrance is on the southeastern side. On the same side there is a ruined bulwark. The height of the walls reaches to the right of the entrance 9.5m. and left 7.5 m, while the thickness is between 1.2 and 2 m.
The church of Agia Paraskevi (the only one of the 5 that used to be there formerly) is preserved in the castle area. It is the second largest city in Greece. Its climate is mediterranean and in general Thessaloniki enjoys several sunny days during the year. The city of Thessaloniki has a fairly extensive center, which gathers most shops, public services, attractions and recreation areas. Its area can be defined to the northwest of the Republic Square (also known as Vardarios Square), southeast of the University Campus, southwest of the Nikis Avenue and north-east of Agios Dimitrios Street. Aristotelous Square and Ancient Agora Square are in the middle of the historic center and are connected by the pedestrianized Aristotelous Street. 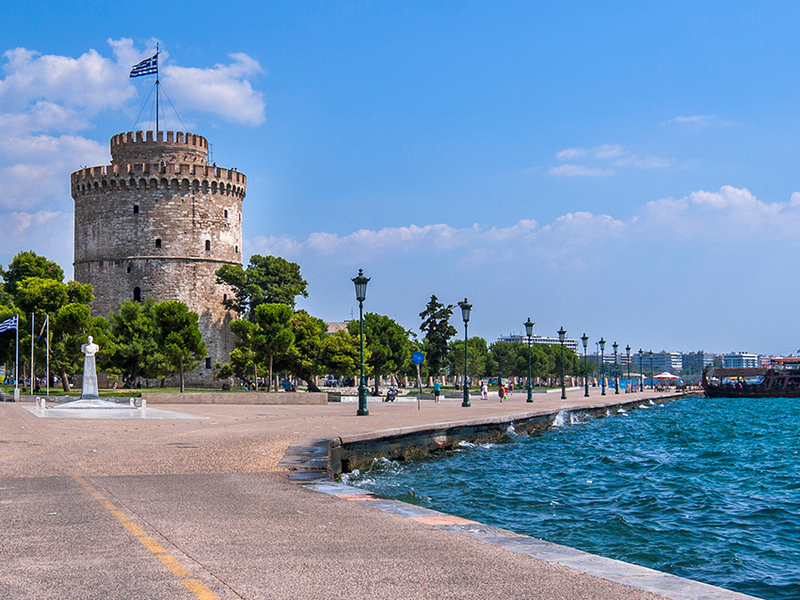 The White Tower is considered a characteristic monument of Thessaloniki. Today it operates as a museum and is one of the most famous building-symbols of cities in Greece. It has 6 floors, 34 meters high and 70 meters perimeter.